Have to admit I am stunned. I don’t usually buy flavored yogurt (I get the plain and mix in stuff), but wouldn’t have bet on Yoplait! Nice to know. I often do the same thing as you, Ronnie. I love plain mixed with some honey and granola. I rarely buy fruit flavored. I would have never considered trying yoplait. I only eat plain greek, but my kids like the sweeter flavored versions. I should give it a try. I really want to try yoplait now, thanks for the review! Sounds like a fun taste off. I would never have tried the yoplait! Thanks for the review. Check the ingredients before you buy. 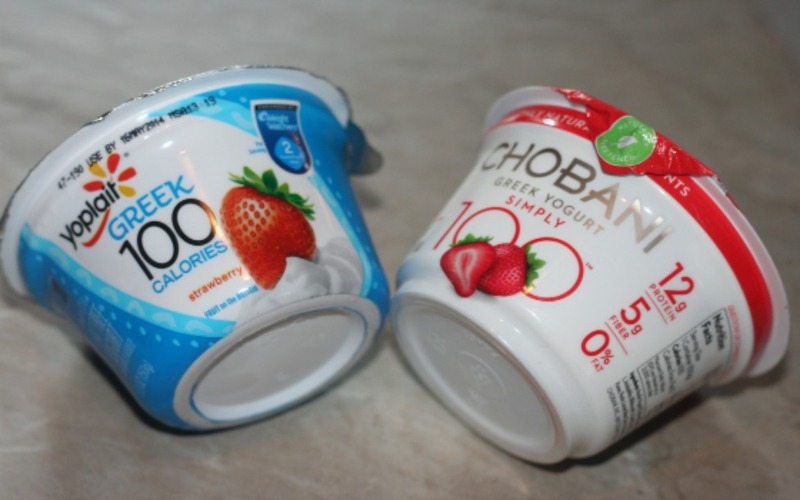 Just because the Yoplait tastes “better” and they both have 100 calories does not mean they are comparable. 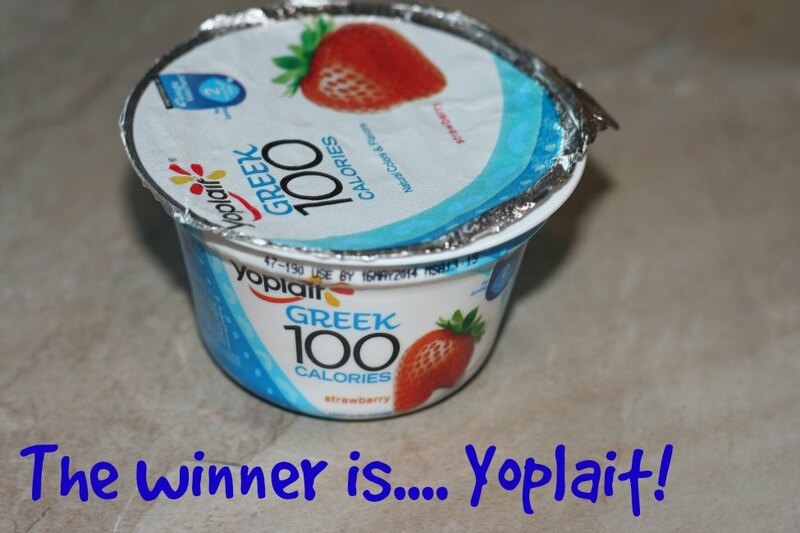 I compared the lemon flavors of the Yoplait regular Greek and the Chobani No Fat Greek and the winner was Yoplait as well. 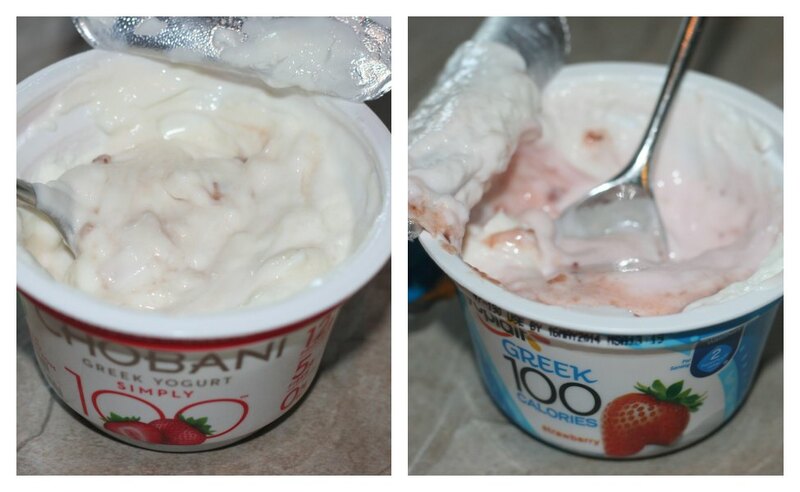 Chobani was not creamy and had a funky taste to it. Won’t be buying it again. Just because one tastes “better” than the other don’t go assuming it’s good. Cause it’s not. Have you compared the sugar, ingredients, and all that extra stuff with them? I didn’t think so because obviously this was sponsored by Yoplait itself, trying to make itself look good and all when really it’s loaded with color and sugar. 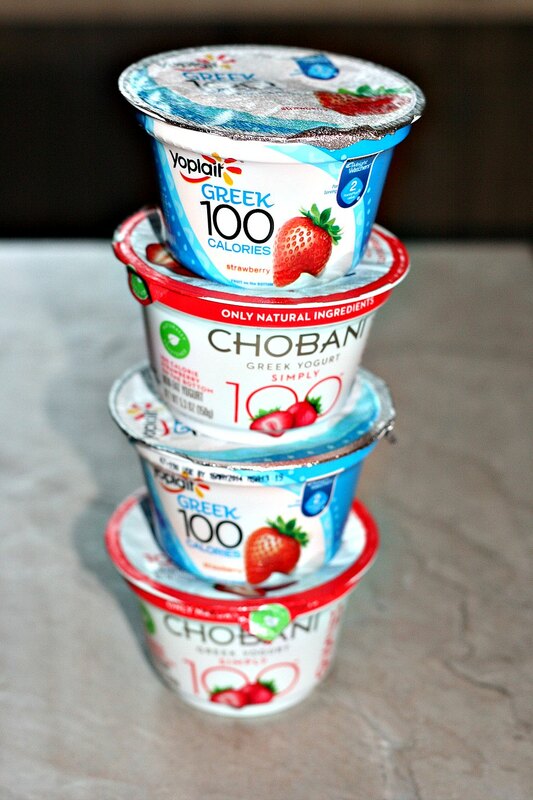 The reason chobaini might taste a little weird is because Chobani uses all natural all organic products. No hormones or anything. There’s even a seperate section they have on the container that says all about it which I don’t see from yo plait at all. Team Chobani for the win!